Hi Guys! I've been trying SO HARD to stay on top of my NetGalley TBR, and my other review copies, but I've been unsuccessful. (Sigh. #TBRProblems) I have with me two of my NetGalley ARC's, Karen Fortunati's The Weight Of Zero, and Stephanie Scott's Alterations which released JUST yesterday! Blurb Description: Seventeen-year-old Cath knows Zero is coming for her. Zero, the devastating depression born of Catherine’s bipolar disease, has almost triumphed once, propelling Catherine to her first suicide attempt. With Zero only temporarily restrained by the latest med du jour, time is running out. In an old ballet shoebox, Catherine stockpiles meds, preparing to take her own life when Zero next arrives. It’s been a couple of months since I read a good book on mental health, the last being Nick Lake’s Whisper to Me and so, reading The Weight Of Zero came as a welcome break from all the fantasy I’ve been reading. In A Nutshell, this book was a good interpretation on what it is like to DEAL emotionally with bipolar disease, but it wasn’t all it could’ve been. Catherine Pulaski suffers from Bipolar Disorder and the depressed and manic states of mind that come along with it. After she witnessed her grandmother suffer a heart attack and disintegrate into someone else before her eyes, she gets diagnosed and her “best friends” drop her like a hot potato and take up bullying her instead. Jaded with life and any sort of human kindness, Catherine is waiting for the next inevitable time that her depression, ‘Zero’ will come, and has a plan to end her life as it does. 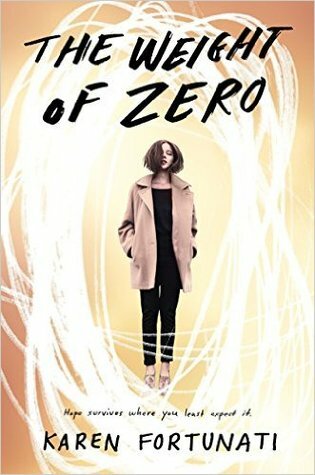 Filled with romance, friendship and how mental illness factors into the life of a teenager, The Weight of Zero is a great book to read! 1. The book focused on the MC’s “relapse” into her manic or depressed state of mind and her suicide plan while sort of skimming past the explanation of bipolar disease itself. 2. There was more talk of the suicide that she planned to commit when she went under “Zero’s” (her name for her depressed state of mind) than anything else, and it got a little monotonous. 3. In Catherine’s Intensive Outpatient Programme, she kept talking about the connection she shared with everyone there, and how she slowly felt like it was a safe space, but never shared ANYTHING about her disease and it felt sort of redundant. 4. The ending was so rushed, very sunshine-y and rainbow-y in a real, harsh book and it made it all feel silly. There was also no real explanation to the bullying Catherine had endured, and it felt slightly rushed. I’m not AT ALL faulting the book for focusing on one area (how to deal emotionally) of this mental disorder, I’m just saying I wish there was MORE (everything else) about the disease. I also wish the ending wasn’t so rushed, and that the talks with her therapist and her mother were more detailed that a short third person summary. The Weight of Zero should definitely be on your essential reading list, but I still wish it had MORE. Blurb Description: If anyone saw the prom boards Amelia Blanco makes on her favorite fashion app, they'd think Ethan Laurenti was her boyfriend. They wouldn't know that all the plans she's made for them are just dreams, and that she's the girl who watches him from the kitchen while her parents cook for his famous family. 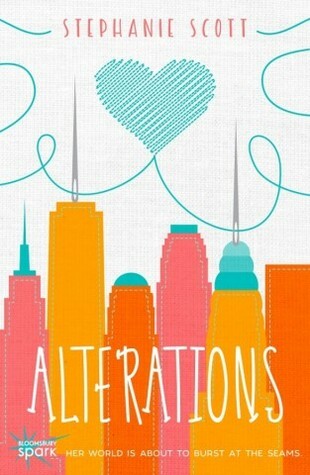 And Alterations was definitely one of those books for me. I knew it wasn’t going to be winning any awards from be under the “makes you want to search your soul” or other such DEEP categories, but HECK, sometimes I NEED a book like that. Amelia is a fashion expert. She lives with her mother and grandmother in their tiny apartment on the estate of some of the richest folks in town, the Laurentis as the domestic help. Of course, the Laurentis have GORGEOUS twin sons, both Amelia’s age, one of who she’s been in love with for forever. And then she gets this AWESOME internship in New York, only to come back and find her whole dynamic with the boys altered. 1. Was Amelia’s internship an INTERSHIP or like Summer School? Because CLASSES and PROFESSORS = SCHOOL. The Devil Wears Prada Mean Bosses = INTERNSHIP. 2. I didn’t feel anything with EITHER boy. Like Liam was cuter, and an awkward potato (which I can totally relate to) but NO FEELS. SIGH. 3. Amelia’s sense of EVERYTHING was warped. In her head, BOYS > WORK ON A REALITY TV SHOW. 4. Amelia’s thought process was awkward. All in all, it was an okay-ish read, and what I expected it to be, a fun, light read! 3 stars! Does Anyone have an AWESOME book on Mental Illness that I NEED to read? OOH, And books set in New York? Have you read either of there books? What did you think of them?